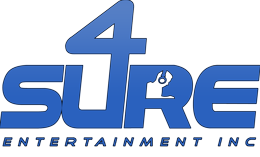 4 Sure Entertainment does what they do best At Michaels in Highland Park from 4 Sure Entertainment on Vimeo. one goal in mind… That is to give you the absolute best party ever! Our CREW combines their talent with their party knowledge and that mix creates the perfect atmosphere. Call 847-691-2221 for details.